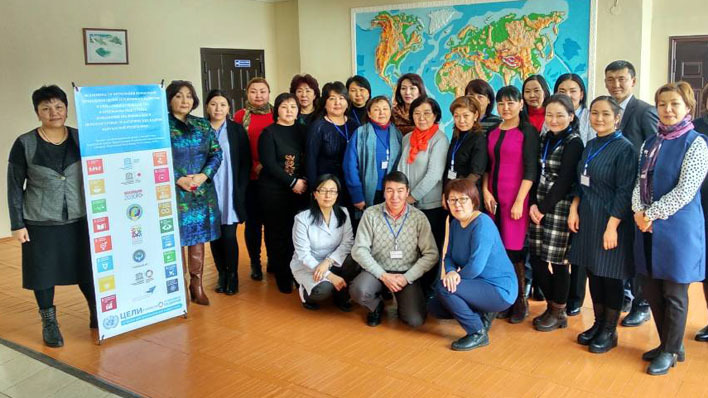 Five trainings have been held in the Kyrgyz Republic over the past few months, involving more than 200 researchers, teachers, students and other education stakeholders. 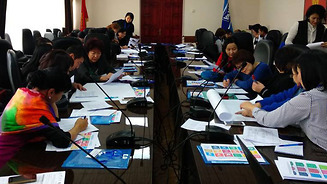 UNESCO Almaty has been implementing the project “Sustainability Begins with Teachers" in the Kyrgyz Republic, with the financial support of the Government of Japan and the assistance of the State Agency for Environmental Protection and Forestry under the Government of the Kyrgyz Republic. The following teacher education institutions, including Kyrgyz Academy of Education, Osh Humanitarian and Pedagogical Institute, Kyrgyz University. I. Arabaeva, Republican Institute for Advanced Studies and Retraining of Teachers, Academy of Public Administration under the President of the Kyrgyz Republic have been participating in the project. The main objective of the project is to integrate Education for Sustainable Development and Global Citizenship (Sustainable Development Goal 4.7) into the system of training and retraining teaching professionals. Trainings allowed to upgrade and improve the competences of participants, which in turn will affect the quality of education as a whole in the country. Teachers gained new knowledge, skills and understanding of social behavior and values that are necessary to ensure the transition to a sustainable society. On 26 November 2017, the Osh Humanitarian Pedagogical Institute held the Students' Campaign "Clean Nature - A Clean Future" in the framework of its Institutional Project, where students from the Faculty of Natural Geography actively participated. In the framework of this project, the joint clean up activity was organized at the Victory park together with "Tazalyk" company. The activity was devoted to a clean city action and for recycling of garbage and solid domestic waste.